Religion (Greek: Threskia, Latin: Réligió) is defined by Cicero as Cultus Deorum, “the cultivation of the Gods” (Cicero De Natura Deorum, 2.8; 1.117). It is the the attitude that the Gods are benevolent partners of mortals regarding the management of the world, as well as the duty and obligation to correctly observe the collection of devotional practices and ritual laws, both public and domestic, that are found throughout a God’s cultus (e.g., hymns, sacrifices, pilgrimages, dietary laws). An engagement in such activities binds worshipers closer to the Gods, and simultaneously weld groups of worshipers into a community. These practices, which can be deemed “religious,” express a renewal of the primordial partnership between the divine and mortals: peace. This peace is called the Páx Deórum (Adkins 2005, 309), and maintaining this peace is the central goal of the Roman religion, as it keeps us within the benevolent light of the Gods and safeguards our own welfare. Religion is, in essence, the formality, the mere outwards practice, of proper ritual. Inner devotion cultivates in the means by which we worship, communicate with, and experience the Gods. This is where theourgia, a particular way of participating in all the diverse cults and performing all of their existing religious practices as ritual cosmogony, comes in. Fundamentally, the divine are benevolent and good. As the Gods are infinite, and thus always in the same state of goodness, They cannot be angered – for to be angered is a passion; nor can They be appeased by gifts – for if They were, They would be conquered by pleasure. As such, people who themselves strive to be closer to the Good have nothing to fear from Them. In honouring the Gods, the soul is elevated closer to the Good and as such is able to receive their providential gifts (e.g. happiness, courage, and fortitude). The Gods are perfect, and thus They need nothing, and as such They bestow such gifts to mankind without diminishing Themselves for the simple reason that their nature is providential and totally beyond our material reality. Being perfect, the Gods do not need nor depend on us, and as such we can offer Them no service They require, for They already have everything. Because of this, when we give gifts to get closer to the Gods it is ultimately for our own benefit, not Theirs; because there is nothing that we can offer Them that They do not already have. This is not to say that the intellectuals of the ancient Hellenic world had been staunch dogmatists who were going out of their way to defend particular practices by appealing to the fact that their ancestors had performed them as well. After all, Hellenic civilization has pioneered the spirit of scientific inquiry – the spirit of ruthlessly questioning every belief. Graeco-Roman civilization questioned practices too – the very existence of juridical institutions would have been otherwise impossible (Balagangadhara 1994, 41-42). However, there is a sphere, Religion, that is not affected by critical questioning, and is practiced, because it is Tradition. As such, one’s beliefs about the Gods are ultimately irrelevant to the integrity and actual practice of Religion because Religion is handed down as Tradition. This makes Religion interchangeable with Tradition. Wherever there are people with a history, identifying themselves as a people, there Traditions exist too. In other words, they have Religion too (Balagangadhara 1994, 43). Irrational Fear of the Gods: Thinking of the Gods as vengeful, jealous or to be feared is superstition. This is often followed by excessive and slavish attempts to appease them. A reasonable person who undertakes in good faith to honour the Gods have absolutely nothing to fear from them; they only have everything to gain. Excessive dependency on the Gods: A total dependence on the Gods is superstitio; for the Gods help those who help themselves. By no means should one be faithless to the Gods; absolutely one should have faith in the Gods, however good faith should be defined as the honour that obliges mortals to adhere to our commitments, rather than blindly throwing oneself into the hands of the Gods. The Gods help those who help themselves. Sorcery: Engagement in practices that can be deemed goetia, or sorcery (which is the opposite of theurgy) is also superstitio. Examples include necromancy, cursing, and contemporary witchcraft. The divine Plato wrote that necromancy was fraudulent and could have harmful results, and advocated for penalties for practitioners (Plato Laws, 909B) (Plato Laws, 933A-E) (Luck 2006, 211). He also remarks disapprovingly of people appropriating ancient texts for magical use, referring to the “books of Musaeus and Orpheus” from which “begging priests and soothsayers” have obtained “spells and enchantments” (Plato Republic, 364b-e). Believing you can command the Gods: Believing you can command and direct the Gods is superstitio that also commits a sin— hubris. 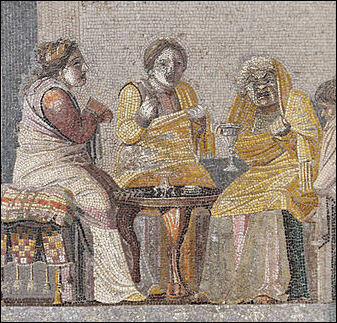 Plato writes that no Gods or Daimons can be influenced by spells and rituals (Plato Republic, 364B–E) (Plato Laws, 905D–907D). Modern witchcraft is an example of this, which defines a lot of spiritual practice generally as magic and defines magic’s main purpose being to change things with your will. This essentially reduces the divine to tools or pools of energy that can be merely manipulated towards magical ends, and thus is seen as superstitio. Adkins, Lesley, and Roy Adkins. Handbook to Life in Ancient Rome. New York: Facts on File, 2005. Balagangadhara, S. N. “The Heathen in His Blindness…”: Asia, the West and the Dynamic of Religion. Daryaganj, New Delhi: Ajay Kumar Jain for Manohar Publishers & Distributors, 1994. Beard, Mary, John North, and Simon Price. Religions of Rome: Volume 1, A History. Cambridge, Cambridgeshire: Cambridge University Press, 1998. Glover, T. R. The Conflict Of Religions In The Early Roman Empire. New York: Cooper Square Publishers, 1909. “NATURE OF THE GODS.” Nature of the gods – Deo Mercurio. Accessed September 12, 2017. http://www.deomercurio.be/en/natura.html. Figula, M. Sentia. “Superstition.” Roman Pagan. January 02, 2017. Accessed September 12, 2017. https://romanpagan.wordpress.com/superstition/. Nova Roma. “Roman Religion” NOVA ROMA Dedicated to the restoration of classical Roman religion, culture and virtues. Accessed August 17, 2017. http://www.novaroma.org/nr/Roman_religion.